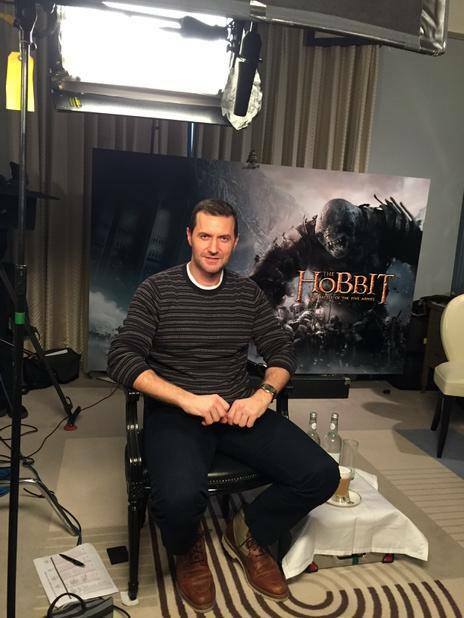 Richard Armitage Press and Premiere Tour Begins! Richard Armitage, star of The Hobbit: The Battle of the Five Armies, is in London and ready to take fans on his final journey through The Hobbit Press & Premiere whirlwind tour that will see him visiting Paris, Rio de Janeiro and Los Angeles. Follow along here as TAC shares his fantastic journey with you! Lady Anglophile…Hobbit feet on and ready to run! This entry was posted in Armitage Alerts! and tagged Richard Armitage, The Hobbit The Battle of the Five Armies. Bookmark the permalink.